Many churches have members on their rolls who live two states over or aren’t even living at all. At a previous church I attended, leaders and some active members began work trying to contact individuals who were technically still members, but hadn’t attended a service in a while—20 years in some cases. The goal was to reestablish the importance of active membership and eventually remove the names of those who no longer desired to be involved in our church for whatever reason. We were not ready for the backlash. Before you attempt to make changes to the membership of your church, learn from the mistakes of others and prepare for these seven land mines. Much of the problems you’ll face boil down to people in the church not fully understanding what it means to belong to a local body of believers. Some may even be basing their salvation on the fact that they’ve “been a member at First Baptist since before you were born,” even though they haven’t attended since before you were born either. Recognize that making changes to the membership roll will often require guiding a congregation through the privileges and responsibilities of being part of a church body. You’ll need to build a theological foundation before you move to any practical steps. Having a desire to change the membership structure at a church is one thing. Having the ability to do so is something different. Even those who have the structural authority may not have the practical authority. Influential members can undermine pastors and other official leaders. Work to get the church’s formal and informal leadership on board before attempting to do any work on the membership rolls. Iron out how things will work before stepping into the potential fray. Develop a process for how you will determine active members, what happens to the names that are removed, and how you plan to encourage involvement going forward. Try to think of as many potential objections as possible and craft answers to those before taking any proposal to the entire church. In many churches, inactive members are close relatives of those who are still active. While you may be thinking of generic individuals, others in the church are thinking about Uncle Jim or their niece Stacy. Be aware that this conversation is about more than theology for many people in your congregation. It’s about removing a connection they have with someone they love. Some of those who may live hours away and who may even attend a new church still want to maintain membership at their “home church.” Maybe it’s the place they grew up. It might be where they became a Christian or met their spouse. For whatever reason, the church holds a sentimental place in their heart. Knowing their membership is still there allows them to have some sense of connection to a special location. Remind them that they can always consider a church home and visit when they’re in town, but they should be active and involved in a congregation where they live. When you take the step to actually inform inactive members that they will be removed from the roll, be careful and considerate with your language. Before you send anything out, edit and edit some more. Have multiple people read it, think about it, and pray over it. Some will be offended and look for ways to criticize your decision. They’ll seek to isolate any poorly-worded section and cast you and your church as greedy, legalistic, uncaring, etc. This is a relatively new concern, but one that can cause your internal discussion to explode into a viral “media circus,” as it recently did for one church. If at all possible, have face-to-face conversations with every person. Yes, that can be awkward, but that’s a better way to handle such a sensitive topic and there’s no letter or other visual to post online. The looming threat of a social media mob should not dissuade you or your church from following God’s leadership in terms of your membership, but you should take every precaution to make Christ the stumbling block and not an action of yours that could be misinterpreted and spread online. Churches should work to prioritize active membership and often times that will require removing names from the rolls, which is frequently not a popular decision. However, the churches and leaders who prepare can navigate the potential land mines and come out on the other side relatively unscathed. 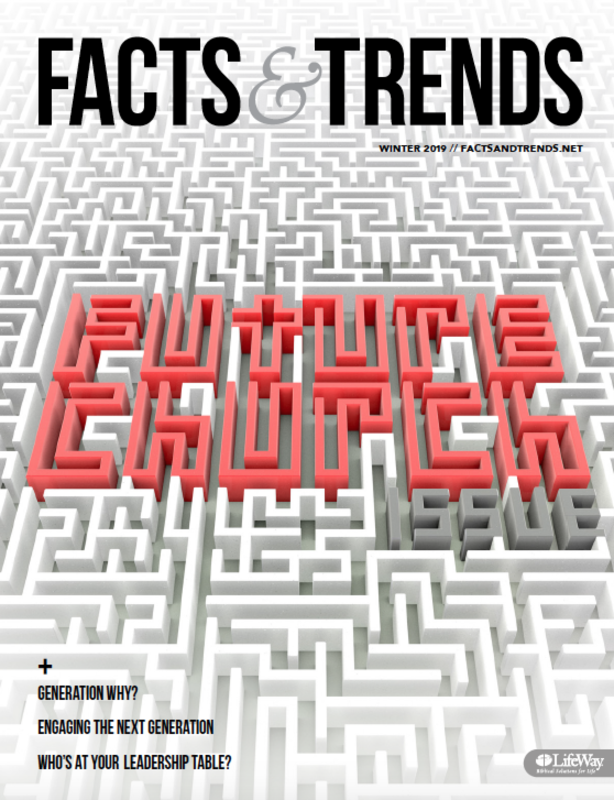 Previous Post: « Should Pastors Cut The Cord to Former Churches? On the one hand, number of members is of little import – for the reason you point out. Active members and attendance is what is important. One question I would ask before “cleaning the books” is: “For what purpose?” A safe way to navigate membership, if removal is needed having a clear standard for removal, vetted through the stakeholders (and possibly denominational leadership). Removal should look like including on the rolls. How does one become a member? If asked my advice there are 2 ways to be removed from membership (especially in the Episcopal Church) – death and by request. Once a member becomes inactive (doesn’t attend an appropriate number of services a year, isn’t “known” to the treasurer, etc.) they aren’t removed from being members – they simply become inactive. When counting members it’s best to count actives and leave it at that. You wrote: “…you should take every precaution to make Christ the stumbling block and not an action of yours that could be misinterpreted and spread online.” Could you elaborate a bit more about what this statement means? I’m not aware of any scripture that speaks directly about church membership. Thanks. Our church’s bylaws have a membership clause which states that once a member fails to attend/give for a period of 6 months, they become inactive. After 6 months on the inactive member list, they are automatically dropped from membership. Essentially, after 12 months of not attending or giving, they have to reapply for formal membership again. We go over this in the membership class with them. If you totally screw this up, you may get fired (if that’s your church’s polity) but the people whose lives you’ve disrupted will be living with the consequences for a long, long time. A church’s bylaws show state the terms for membership and one of the terms should be joining in at least occasionally in worship services. A possible utilization would be to place the person as “inactive member” then after a period of not attending, removed from the membership rolls. This may not work in a large church. I think the best action is to have a couple if volunteers who call or make contact with members if they are out for a couple if weeks or a month or more to check on them and see what is going on. Then, if they say they have moved, and may not be returning, let them know or ask them about their preference of being on the membership roll. If they want to remain until they join another church, then tell them that bylaws, yada yada that if no active attendence in 12 months, membership will be inactivated. It is important to check up on people to see what is going on. There could be a conflict in the church or maybe someone has fallen ill or there job responsibilities have them working on Sunday, or whatever.